Most companies replace builder-grade with builder-grade. You shouldn't settle for builder-grade! Call for details. We don't replace builder-grade with builder-grade, we Upgrade! At All American Glass, we are dedicated to high quality workmanship and customer service. We are UNLIKE large window companies who offer you "one really low price" for your replacement window installation, only to meet with you and convince you that "you don't want those cheap really low price windows," you want their really expensive ones! All American Glass consults with the homeowner to decide what is best for their window replacement needs. No gimmicks to get us in the door only to sell you something more. We want to sell you the window that is right for you and your budget. We are proud to have the majority of our customers referred by former satisfied customers. We understand that purchasing new windows is a huge investment, and we are here to help you make the right choice for your home. 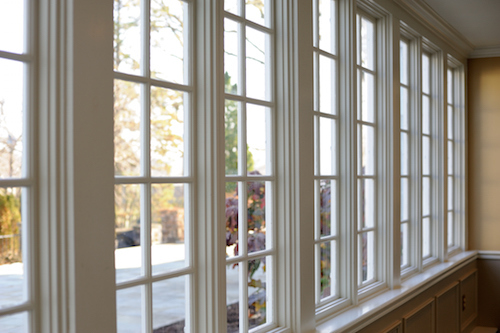 Trust All American Glass to help you choose the replacement window option perfect for your home like so many others have. Call us today at (281) 507-6801 to schedule a free consultation. Anderson, Pella, Silverline, Norandex, Northern Texas, Don Young. All American Glass is a great company. They have fixed several broken windows of mine and are now putting in a shower glass door that is beautiful. They had very reasonable prices compared to other companies, and I like that they are local. I would recommend them to anyone. All American Glass recently changed out a window in our french door. It was an expensive double paned high efficiency glass that had to be special ordered. When it came in, and Todd installed it, the glass seemed a bit milky. He called up the manufacturer and ordered another one on the spot. As soon as it came in, he installed it. He is fast, easy to work with, holds himself accountable and fights for his clients. That's why I do any and all of my window/glass business strictly with All American. They get it right every time. A cold snap caused a crack in an interior pane of a double paned window. After getting a few bids over the phone we decided to go with All American Glass. Despite the fact that the bid increased due to 2nd story location and type of window, we still chose Todd. He was honest and down to earth and did a great job. We will use All American Glass again and recommend them to neighbors and friends. Contacted Todd and had my window replaced within about 24 hours! Fast, friendly and affordable! Job well done! Would highly reccommend! I just called these guys and I'm impressed. I have talked to many window guys today which got negative reviews for hanging up on me and being rude. These guys, however, are very professional and personal. They gave me a quick quote on the phone. As and AC/ Heating contractor I understand that these are not solid numbers. However, I told him I would get back to him. Which I will do one way or another. Even if they don't get the job. After talking business the guy seemed genuinely concerned and was asking about my uncles health. THANK YOU. I really appreciated their prompt work replacing a busted window. The owner was very attentive. I would use All American Glass again. My 50 year old vanity set needed a replacement mirror and Todd made quick work of helping me! Super affordable and a pleasure to do business with! Thanks All American Glass for the quick repair, fair price and a great serviceman. I recommend to all. Todd at All American Glass does a fantastic job for me. I manage rental properties and when I need a window fixed or replaced he is there quick and does it at a good price. I recommend him to all of my friends. All American Glass has replaced windows for me on 2 occasions. Results were great! I also had his company repair a shower door. When I need glass work, I will always call All American Glass! Excellent work and a fair price. Had a broken large home window and All American Glass promptly and professionally replaced the same. Highly recommend.